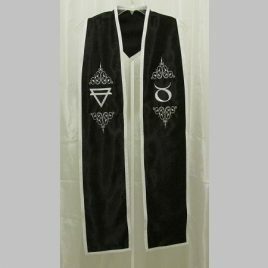 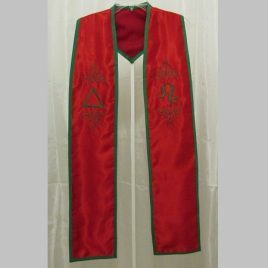 Beautiful thelemic-themed stole. 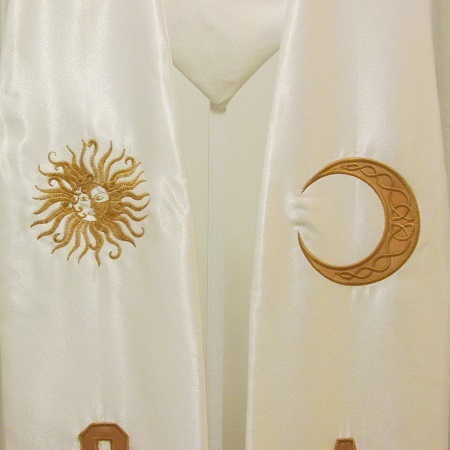 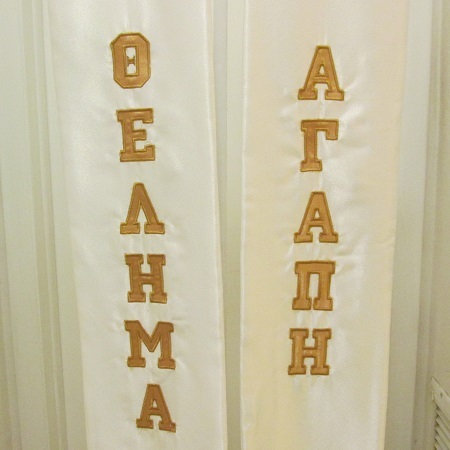 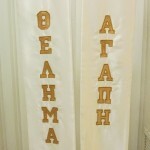 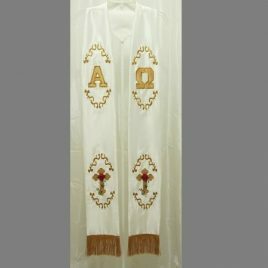 White satin stole had gold fringe on the bottom edge. One side has a sun on top of the word “Thelema” in Greek letters. 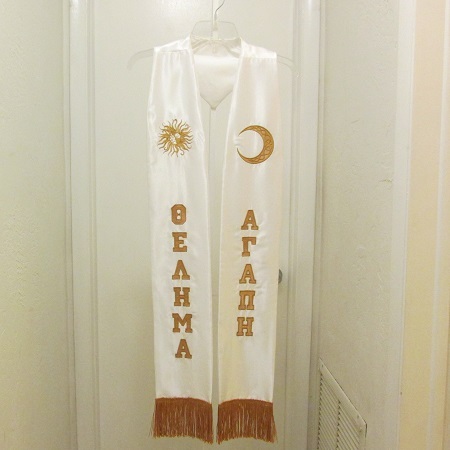 The other side has a lovely moon with the word “Agape” in Greek letters. 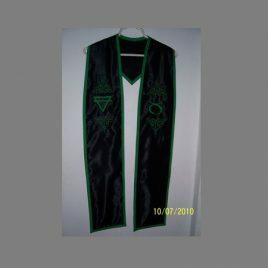 Stole measures approximately 40 inches long plus 4 inch fringe (for a total of approximately 43 inches).